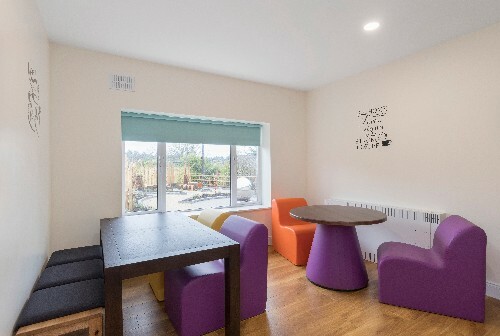 At Nua Healthcare, we provide Residential, Day, Home Care and Community Outreach services to both adults and children with a range of complex support requirements. 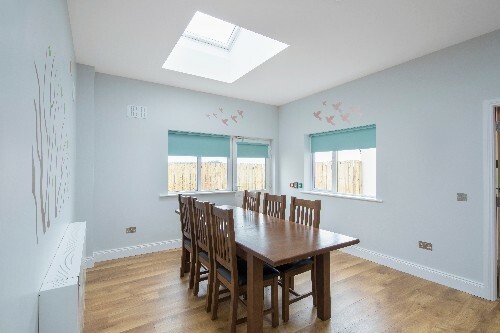 Cois Dalua Specialist Rehabilitation Unit (SRU), a beautiful detached bungalow and now registered by the Mental Health Commision as an "Approved Centre", underwent significant renovations and has been furnished to an excellent specification and standard. 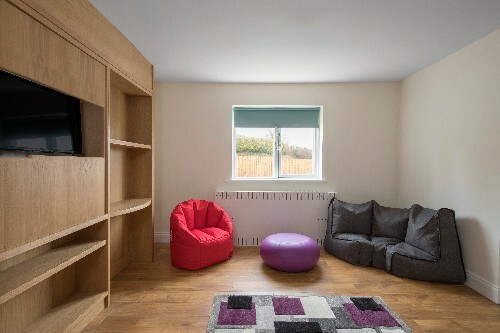 It can accommodate up to eight (8) Patients and/or Residents over the age of 18 years with Mental Health issues and Dual Diagnosis (Mental Health and Intellectual Disabilities/ASD). 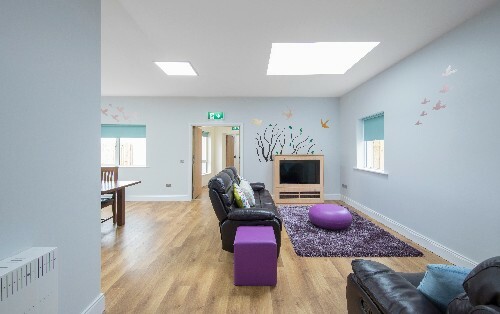 Cois Dalua SRU’s living area is distributed over two clinical areas that are connected through a hallway. 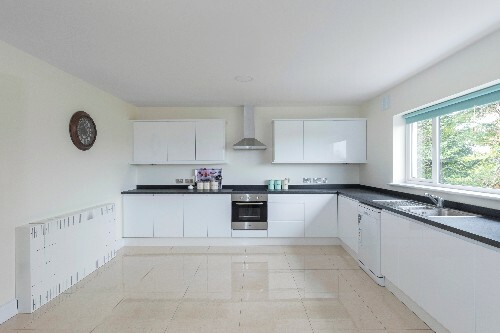 There are four (4) tastefully appointed self-contained apartments and a further four (4) en-suite bedrooms. 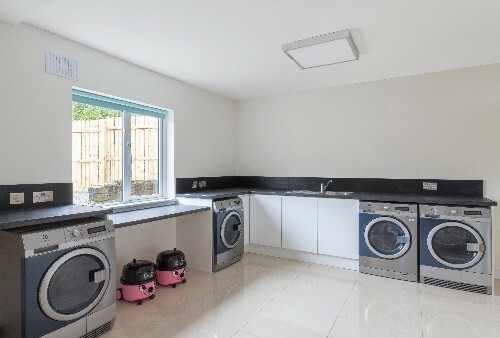 Situated to the left side of the building are the self-contained apartments which have been designed based on an open plan consisting of a spacious living area, a kitchenette, a generously sized bedroom, a large en-suite and access to Cois Dalua’s private grounds. 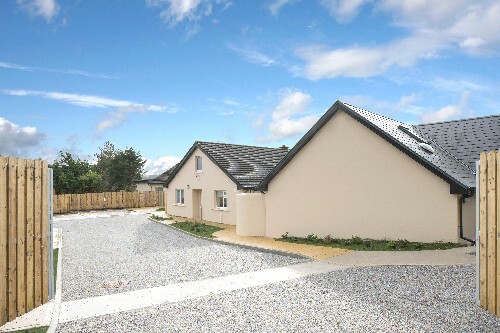 To the right of the building are the remaining four (4) en-suite bedrooms. The living space within this part of Cois Dalua consists of a large and fully equipped kitchen, a large dining area and two (2) living rooms with spacious hallways providing ample breakout areas for receiving visits from family and friends. Cois Dalua is fully equipped with an office and facilities necessary to store records, files and medication pertaining to each Patient and/or Resident. 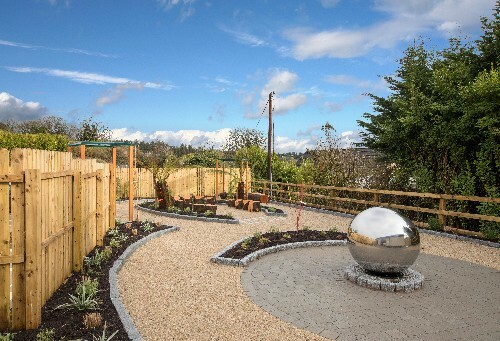 Cois Dalua’s private grounds boast a beautiful sensory garden with designated seating areas and its rural location in North Cork provides relaxing, peaceful, and plentiful views of the local landscape. 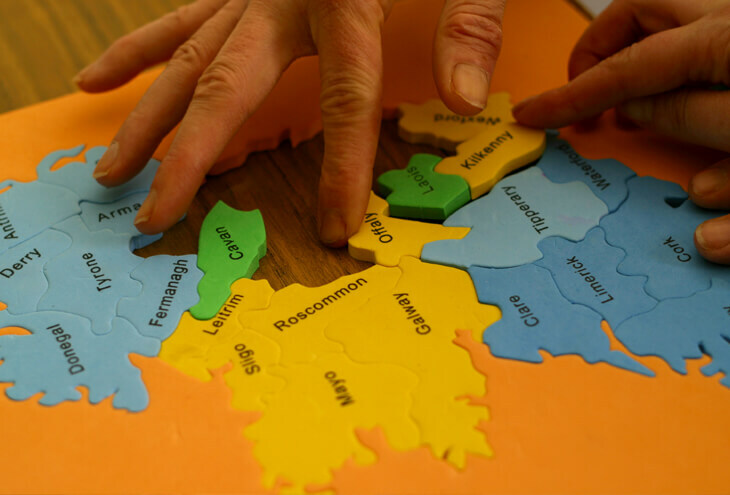 Patients and Residents can participate in community activities utilising many of its local amenities. 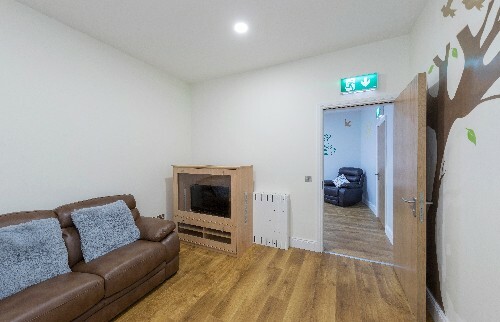 Cois Dalua is within easy reach of local facilities such as gyms, cinemas and libraries. 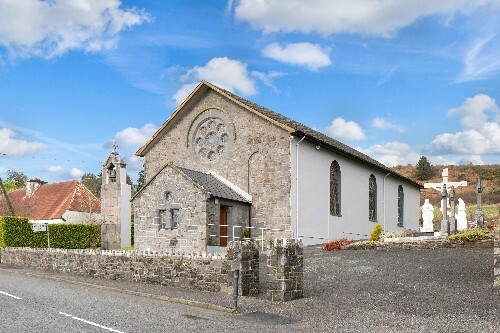 The local GAA club and church is around the corner from the Centre. At 251 metres above sea level, Meelin has been reported as one of the highest villages in Ireland and is situated within close proximity of Newmarket and Kanturk. At Cois Dalua, we actively provide family support and liaison, we also actively encourage engagement with local primary and secondary physical healthcare services. 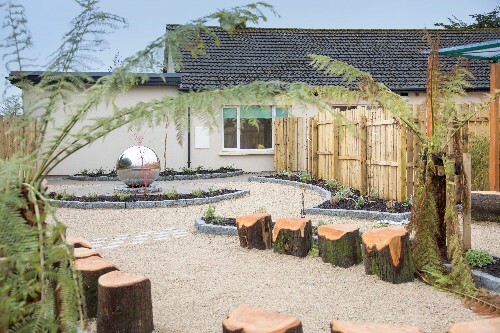 Patients and/or Residents of Cois Dalua have an inherent right to high quality mental and physical healthcare provision with both being promoted within the service. 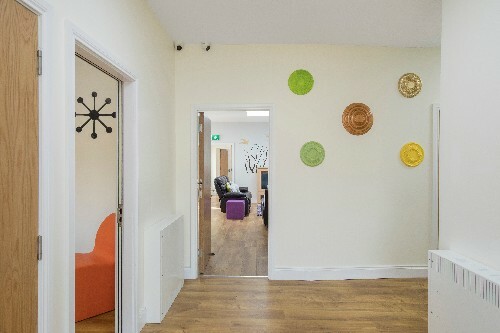 Our person-centred approach ensures that all Patients and / or Residents, play a fundamental part in the development, planning, delivery and evaluation of their recovery focused service. It is our aim that all Patients and Residents are supported to move on from the Cois Dalua SRU within a two year time frame. Nua Healthcare’s MHS, if required, will provide all necessary ongoing support and assistance each person may need on their individual journey towards continued recovery. If you would like to read more information about the service, please follow this link to download our Mental Health Services Brochure. Should you have any further queries regarding Nua Healthcare’s MHS, our referral process or otherwise, please feel free to get in touch with us directly via telephone or email, displayed in the footer of this page. Alternatively, you can contact us online through our website here. Below is a selection of images from the Cois Dalua SRU and associated local amentities.